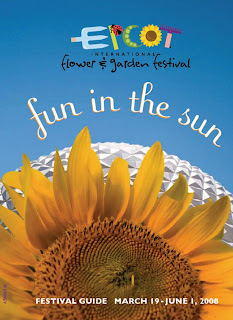 With the 15th Annual Flower & Garden Festival well underway, I thought you would all enjoy a brief glimpse into this year's theme: Fun in the Sun. Here at the entrance to Epcot, it looks like our friends Mickey, Minnie, and Goofy have all found a way to enjoy Florida's abundant sunshine. Look for more from the Flower & Garden Festival after my trip next month. I am probably giving away a trade secret here, but for Disney geeks, nerds, gurus, and sages used book stores are treasure troves. Most will give you trade value for books you never intend to read again (who really rereads 10 Studies that Changed Psychology after college), and the prices of the used book are incredible. It is here that I have picked up old guide books, copies of Little Golden Books' Disney stories, Countdown to Extinction, Tarzan: Special Collector's Edition, Snow White and the Seven Dwarfs: The Making of the Classic Film, and two copies of Since the World Began. For those of you wondering, I had to have the second copy because I know that I will find a Disney nerd-in-training years from now who doesn’t have a copy, and cannot find one, and I will be able to do my part to continue the great bloodlines of Disney knowledge. My wife has realized this trend, and did a good portion of her shopping for my birthday and Christmas at used book stores last year. 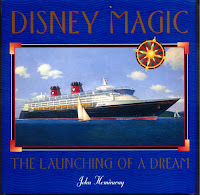 Her most extraordinary find was John Heminway’s Disney Magic: The Launching of a Dream. The book chronicles not only the ship herself, and how it was designed, built, and Imagineered to the high Disney standards, but just how the idea of Disney Cruise Lines came to become a reality. The real depth of this book, however, comes in the form of illustrations. There are photographs from Walt’s adventures on the high seas, classic ocean liners of the early 20th century, and of the ship’s construction. Renderings, concept art, and models appear in vast quantities throughout this book and include insight into design of the ship, staterooms, play areas, funnels, restaurants, decorative artwork, and theaters. For someone who has never had the chance to sail one on of Disney distinct vessels (mostly due to the facts that I get seasick at the drop of a hat and I am afraid of not being able to see land on the horizon), this book is a true treasure, and a wonderful story to boot. Walt Disney World is not only for children, or even for those who are young at heart. I am sure that this won’t come as a shock to many people. After all, we have seen the dining options available at the Grand Floridian, Contemporary, Animal Kingdom Lodge, and the like, we have strolled around World Showcase taking in the sights, sounds, smells, and tastes, and we have even ventured a peak at the golf courses and spas, and all of these have a distinctively adult air. Yet, when the average adult hears the words ‘Magic Kingdom,’ their thoughts immediately turn to storybook attractions, child-friendly rollercoasters, and grown men and women in costumes. While this may sound sweet to the child inside, it does nothing for the palate of an adult whose taste for adult experiences cannot be swayed. What is past over with a glance, however, are wonderful experiences that may be family friendly, but will definitely feed the famine soul of the adult. From transportation, to quiet areas full of life, gardens, architecture, and even a backstage secret or two, the Magic Kingdom is not just a playground for pint-sized people and their families; it has something to offer every guest. Right inside the entrance is the Main Street Station of the Walt Disney World Railroad. This station is full of information about the namesakes of the Railroad’s steam engines, as well has history, art, and models all dedicated to riding the rails. Should you hear the whistle coming around the bend, hop onboard and take a full-circle around the park. This not only gives you a feel for the park, and ideas on where you might like to visit, but it is full of little details that cannot be seen from anywhere in the park. If a passing attraction catches your eye, the Railroad makes stops in Frontierland and Mickey’s Toontown Fair, and the latter station is only a short walk away from Tomorrowland. After the circuit is complete, and should you be of the mind to study the trains a bit closer, be sure to reserve a spot on The Magic Behind Our Steam Trains Tour. 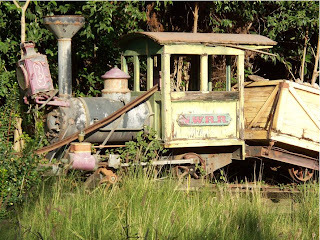 This tour, which comes with a price tag of 40 dollars per person, spends three hours preparing the trains for the day, discussing Walt’s fascination with trains, and how, through Walt’s adoration, the trains became a fundamental component of the parks. The tour, which begins before the park opens, includes an excursion to the roundhouse, where the steam engines are housed and cared for. Theme park admission is required in addition to the cost of the tour. The Walt Disney World Railroad is not the only mode of transportation adults can enjoy in the Magic Kingdom. Main Street U.S.A., with its turn-of-the-century charm, offers passage up and down Main Street in a variety of vehicles. Choices include: horse car, omnibus, jitney, horseless carriage, or a fire engine, each is its own enticement to its passengers. In Liberty Square, the Riverboat coasts gently along the Rivers of America, offering the sights and sounds of bygone days that are displayed in Frontierland, Tom Sawyer’s Island, and Liberty Square. Tomorrowland offers guests a grand-circle tour of the land on the innovative Tomorrowland Transit Authority. While on board, observant guests can even glimpse into the past to find a peek into the future that never was for Walt Disney World. After all of the riding around and sitting, a stretch of the legs may be needed. The majority of the walkways of the Magic Kingdom can be overcrowded, and not conducive to a quiet stroll. However, the pathway from Tomorrowland to the Toontown Fair Railroad station, while not the most scenic of walkways, is isolated enough for a quiet walk and conversation. If woods are more your pace, seek out a raft to Tom Sawyer’s Island. While this may seem like a hotspot for children and paintbrush seeking enthusiasts, it is generally overlooked by a majority of the guests. The paths that meander over and around the island make their way through reconstructed mills, forts, and patches of underbrush. Just because you have entered the world of yesterday, tomorrow, and fantasy doesn’t mean you have to suspend reality. If you are going to be making your way through the park on foot, be sure to take in your surroundings. Every detail of every window, walkway, and building has been meticulously planned to create an immersive environment. Be sure to take note of the architecture, and the scale in which it is presented. The upper floors of buildings may look full size, but forced perspective is employed throughout the park to give you the feeling of walking through full-sized villages, towns, and forts. As well, Walt Disney World (combined with Disneyland) employs six-hundred and fifty professional horticulturalists. These horticulturalists provide the exotic flora of Adventure, the tumbleweeds of Frontierland, the well manicured gardens o f Main Street and the Hub, the window boxes of Fantasyland, Cinderella Castle’s rose garden, the other-worldly designs of Tomorrowland, and the ever-popular topiaries. 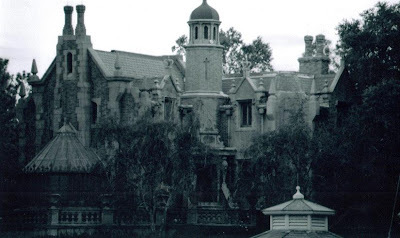 These dedicated professionals spend hours making planned gardens look wild and unruly, such as the blood red roses that run rampant outside of the Haunted Mansion. While all of this is to immerse guests in an environment, most children and families hardly take notice of such details, details that can be awe-inspiring under a carefully cultivated eye. The Magic Kingdom also offers a variety of tours. Aside from the Stream Trains Tour mentioned above, adults may also enjoy the Keys to the Kingdom or Mickey’s Magical Milestones Tour. 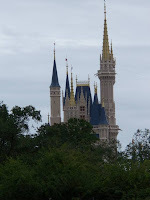 Keys to the Kingdom is a four and a half to five hours walking tour of the Magic Kingdom. 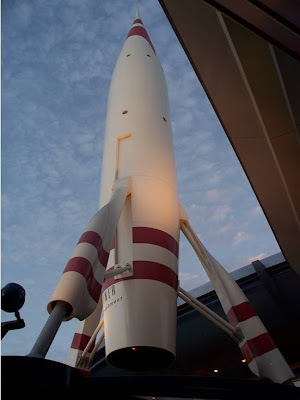 The tour not only includes an in depth talk on the history of the park, its attractions, and the values and vision of Walt Disney, but it also takes guests behind the scenes to view the inner-workings of a couple of the park’s most well-loved attractions. Mickey’s Magical Milestones Tour takes guest on a two hour journey from Walt’s creation of Mickey Mouse, all the way to Mickey’s CGI debut in Mickey’s PhilharMagic. They Keys to the Kingdom tour costs 60 dollars per guest, while Mickey’s Magical Milestones Tour costs 25 dollars per guest, and both require separate them park admission. To reserve a spot for any of the tours mentioned, including the Steam Trains Tour, call (407) WDW-TOUR (407-939-8687). Near the end of any day, whether you have been experiencing attractions or wandering aimlessly, it is always nice to find a quiet spot to sit and relax. The park is full of benches with which to rest your weary bones, however, most of these are along crowded walkways. For a commotion reduced rest, check out the rocking chairs in Liberty Square (along the side of the Hall of Presidents) and the area surrounding the Cinderella Wishing Well (along the path from Cinderella Castle to Tomorrowland. Adults in the Magic Kingdom. Walt Disney once said, “Disneyland is not just for children. I don’t play down.” This belief is engrained in everything at Walt Disney World, where every element has been tailor-made to be one-size-fits-all. 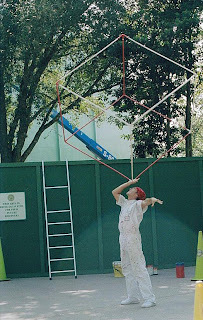 In the Magic Kingdom, children are given a chance to explore new ideas and to push new boundaries, adults, that are so inclined, may relieve fond memories, and adults who are adult for adult sake can even find adored pieces of solitude or edutainment. At the end of the day, the Magic Kingdom welcomes one and all to find their place and their adventure, even if that adventure is found in the welcoming arms of a rocking chair. 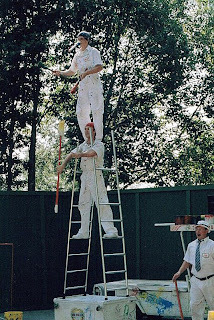 Smear, Splat, and Dip are not your ordinary painters, as you can tell by their motto, “Givin’ the Past a Brighter Future.” This crew is acrobatically inclined, and they are the most capable jugglers of paintbrushes I have ever seen. Smear and Splat are in continuous competition for the Paintbrush Trophy, which, just like it sounds, is a trophy with a paintbrush attached to the top of it. Though Dip will get in on the act from time to time, he generally moderates the contest and gets the crowd pumped up. Smear, Splat, and Dip can be seen Wednesday through Sunday in DinoLand U.S.A., usually in front of Chester and Hester’s Dinosaur Treasures. 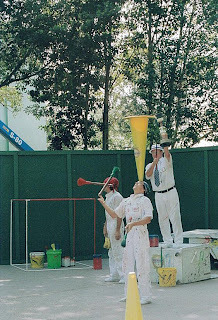 The group generally perform six times a day between 10:00 am and 4:00 pm, weather permitting of course (would you want to juggle on a ladder with wind gusts of 15 mph?!?!). The pictures below Smear, Splat, and Dip working away from their natural habitat. During the construction work that prepared the Theater in the Wild for Finding Nemo – The Musical, they could be found in front of the refurbishment wall surrounding the theater, right where you would expect painters to be. Our next stop, as we tour Epcot's World Showcase Kidcot Fun Stops, is Germany. The Edelweiss Hat is a traditional folk hat of the Bavarian region of Germany. These hats are generally adorned with a feather or an Edelweiss blossom. The story of the Edelweiss blossom tells the tale of the Ice Queen of the Alps, when the mountains were much taller than they are today. When she fell in love with a man, the gnomes that had served her for so long became jealous and threw him headfirst into the valley below. When the Ice Queen found him, she shed only one tear, and that tear became Edelweiss, a flower of purity and beauty. Fold the sheet of green construction paper in half long-ways, so that it measures 9 x 12. Fold the two corners (one at a time, along the 12 inch side of the paper) towards the center of the paper. This should create two 6 x 6 triangles on the top of the paper, and leave three inches below the triangles. Fold the three inch section in half, then fold the sections up again, this will create a brim for the hat. Using the scissors and white paper, cut out a flower shape. Attach the yellow circle to the flower’s center with the glue stick, and then glue the entire flower to the brim of the hat. Punch holes on each side of the hat, attach each end of the elastic string to holes with a knot, this will form a chin strap. To add the feather to the hat, simply place it in the fold of the hat. 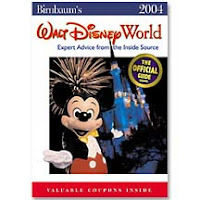 I recently picked up a copy of Birnbaum’s Official Guide to Walt Disney World. The 2004 edition. 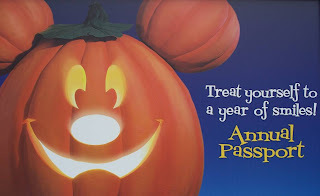 From time to time we are going to be visiting the Walt Disney World of yesterday, and any of the old guide books, official, unofficial, or otherwise, are perfect time capsules of those moments. Sprinkled within the pages of the Birnbaum 2004 are the Hot Tip! sections. Some of these can be wonderfully informative, if not a little gut-wrenching to read in the cases of now gone attractions, and some just make you want to stop and scratch your head. Let’s venture down memory lane and stop by a few of these tips. ¤If you’d like to get soaked on Splash Mountain, request a seat up front. - What really hung me up on this was that it implied you could stay dry by sitting further back in the log, when, in fact, there isn’t a dry seat in the house here. ¤Avoid the mealtime rush hours by eating early or late: before 11am or after 2pm, and before 5pm or after 8pm. – In other words, don’t eat when you are going to be hungry. ¤Epcot is bigger than it seems, so allow yourself plenty of time to get from place to place. (It takes about half an hour to walk from Spaceship Earth to The American Adventure in World Showcase.) Keep this in mind if you have made priority seating arrangements at a restaurant or hope to secure a nice fireworks viewing location on the World Showcase promenade. – No truer words have been spoken, and this tip holds true to this very day. 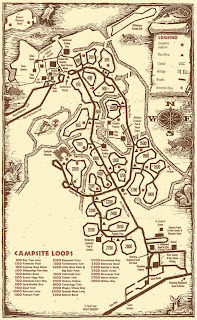 ¤Take a moment to study a guidemap as you enter Animal Kingdom. It will give you a sense of the park’s layout. The park times guide provides information about showtimes for Festival of the Lion King and other attractions. – As above, truer words were never spoken. The only addition I might have had was to study a guidemap the day, or week, before, because there is definitely going to be a test. ¤Taking a step away from the Hot Tip! section for a moment and slipping over to the Did You Know? segment: Many of the costumes worn by Animal Kingdom cast members are made of wood – actually, a natural fabric called lyocell, made from wood pulp. The pulp is harvested from trees grown specifically for this fabric. – Fascinating, you learn something new every day. This is definitely something I will be looking into more in the future. And our last Hot Tip! ¤River Country, Walt Disney World’s original water park, was closed indefinitely when this book went to press. It is not expected to be open in 2004. Guest response drives Disney. It may seem like I am reaching here, especially when we have lost such fine attractions as Mr. Toad's Wild Ride, which had tremendous support, but bear with me. There was a time when we were listened to, if you can think back to the opening of the Magic Kingdom in Walt Disney World, when guests arrived at a pirate-less park, they were outraged. 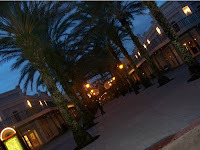 Disney had thought that Floridians were not interested in something that had happened just down the coast from them, and that they had a personal history with. But, the overwhelming response from guests forced Disney to sideline a massive project in Frontierland, the Western River Expansion, in order to bring about an East Coast version of the much-loved Pirates of the Caribbean. What I am getting at is a topic I have shied away from, until now. With the recent confirmation of the changes coming to Disneyland’s it’s a small world, I think now is the time to let our voices be heard. This attraction, created for UNICEF for the 1964 World’s Fair, featuring one of the most (insert recognizable or annoying here) songs every created, has become a classic. While I do not wish for the parks to ever become a museum to the way things were, and I do believe that it’s a small world may need some TLC, I also believe in upholding the core values intrinsic in a classic attraction. For the record, adding stylized characters, such as Stitch and Alice, does not uphold these values. Below is the article from the L.A. Times and the letter by Mary Blair’s family. I only ask that you take some time to read over both the article and the letter. Then, if you feel so inclined, I have also included the address to Disneyland’s Guest Relations, so that you may write them a letter. I know I will. 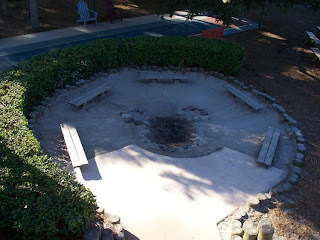 Hidden Mickeys are not just in the parks and resorts of Walt Disney World and Disneyland. 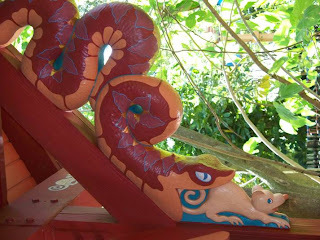 They can be found at Disney properties worldwide, and sometimes people even see them beyond the realms of Disney. Last December when my wife, Aileen, and I were at Disney’s Hilton Head Island Resort we took a few hours to go in search of Hidden, and décor, Mickeys. To assist us in our search we stopped by the Front Desk and picked up a copy of their clues for the Hidden Mickey Hunt! In case you are going to be near Hilton Head, SC soon, and happen to pop in to see the resort or Shadow, here’s the clues for you to start your own hunt. 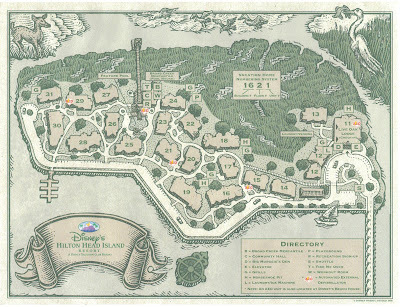 While there are plenty of other ways to see Mickey at the resort, these are the official clues that we were provided with, along with a map to help you on your way. Clue 2: There is nothing like a nice cozy Den in which to curl up by the fire. Clue 6: On the bridge, I hold information for all to behold. Clue 7: Where to go today? What to do today? Look here! Clue 8: Up by the bell, have a seat and look down at your feet. Clue 9: I’m made of brass, if you must ask. Clue 11: Flying high above Hilton Head, who is the captain and who is the passenger? Clue 13: Where the fish are always jumpin’, so is the Mouse! Clue 14: Without these, Smith and Thompson would be no more! Animal Kingdom is unique in that, as a theme park, it can set goals besides park attendance and make an impact in the world. Trying to discern which of their conservation and educational objectives have had the most impact on the world, or a singular species, is a daunting task, yet, in honor of their tenth anniversary, Animal Kingdom has done gone ahead and done just that by devising their own Top 10 List of successes. The full article is presented below for your viewing pleasure. LAKE BUENA VISTA, Fla., March 25, 2008 – During its first decade, Disney’s Animal Kingdom has entertained millions of guests with one-of-a-kind shows, adventurous attractions, unique shops and distinct restaurants. But some of the most remarkable accomplishments have taken place behind-the-scenes through the efforts of Disney’s Animal Programs team. Disney’s 550 animal care experts have traveled around the globe, demonstrating a steadfast commitment to conserving wildlife and wild places. These veterinarians, scientists, educators, curators, and zookeepers have enhanced the world knowledge base of animals and bettered the lives of animals and their habitats here in Central Florida and in the most remote areas of Africa, Asia, North America and South America. In 2006, two Disney-born white rhinos became the first-ever to repatriate from the United States to Africa. The two white rhinos joined four others at the Ziwa Sanctuary in Uganda to re-establish a population that became extinct in 1972 due to civil unrest in the region. Just this year, veterinarians, scientists and animal care experts from Disney’s Animal Kingdom returned to Uganda to follow-up and monitor them. The goal: to assist the Uganda Wildlife Authority and Rhino Fund Uganda with the establishment of a breeding facility for rhinos that can be reintroduced to the wild. Since 1999, the Animal Programs team has delivered more than 29 million conservation messages to inspire guests to care about wildlife and wild places. These efforts include fun, educational activities at six Kids Discovery Clubs at Disney’s Animal Kingdom, as well as an annual Party for the Planet on Earth Day, and a special Leap Day event to celebrate 2008 as the Year of the Frog. Through a successful long-term, captive breeding program, Disney’s Animal Kingdom has produced approximately 25 percent of the total world population of the Micronesian kingfisher. This tiny bird, native to Guam, is nearly extinct because of predatory snakes introduced to the island more than 50 years ago. Since the program started in 2000, the Animal Programs team has successfully hatched 22 baby birds. Disney has been at the forefront of efforts to better understand and care for endangered elephants. One of the most significant contributions of Disney scientists and engineers is the development of an elephant transmission collar that – for the first time – is enabling scientists to record elephant vocalizations that are too low for the human ear to detect. Through this effort, Disney scientists discovered two new vocalizations in 2004 that had never been reported for elephants in the wild or in zoological settings. The “rev,” which is short in duration and usually followed by a rumble, may indicate surprise. The “croak” is generally given when the trunk is used to manipulate an object. Researchers also found that closely bonded females use low frequency “rumbles” to communicate with each other when they are out of sight and when they greet each other after having been apart. Disney’s Animal Kingdom also has also played a significant role in the Association of Zoos and Aquariums Species Survival Program for African elephants. Three African elephants have been born at Disney’s Animal Kingdom, adding to the largest herd in North America. African elephants are very difficult to breed, and having a successful birth of this endangered species is a significant and lengthy event. Ironically, another area of focus for Disney’s Animal Programs team has been helping to control the growing elephant population in some areas of southern Africa. Although elephants are endangered, their populations have expanded in some areas, and this growth threatens wildlife habitat. In 2006, veterinarians from Disney’s Animal Programs led a coalition of experts to Africa and their work has since resulted in the creation of a new surgical procedure and device that effectively sterilizes male elephants with little trauma or side effects. In 2007, Disney scientists conducted the first population census of cotton-top tamarins – a species found only in Colombia -- and found fewer than 6000 animals remain. The long-term survival of these rare primates is threatened by habitat destruction in South America and capture for the pet trade. Government officials and environmental groups are using this information to develop conservation areas and plans for this endangered species. For example, Proyecto Titi, a conservation group that works in Colombia, has influenced local communities with the use of “bindes,” which are small cookstoves that require two-thirds less firewood for cooking and the development of a cooperative that makes eco-mochilas, which are tote bags made from recycled plastic bags. As a result, more than one million plastic trash bags have been removed from Colombia’s environment. Disney Wildlife Conservation Fund (DWCF) has given more than $11 million in support to a total of 650 projects in 110 countries since 1995. Many of the organizations concentrate their activities on ”biological hotspots” – areas rich in plant and animal life at risk of imminent destruction. Florida-based projects and groups have received more than $2.9 million in DWCF grants. Animal Programs veterinarians have successfully performed surgery on a tarantula spider, placed an artificial eye in a fish and removed a golf ball from a hungry snake rescued at a Disney golf course. In all, more than 6,000 wellness checks have been performed at Disney’s Animal Hospital since 1998. State-of-the-art veterinary facilities include an x-ray room, ultrasound equipment, surgical suites and full-service laboratories. Disney’s Animal Care team has blazed new trails by using positive reinforcement to train animals to cooperate in their own care. For example, gorillas extend their arms for vaccinations, big cats open their mouths for keepers to examine their teeth and even storks step up on scales to be weighed. Over the years, Disney animal care teams have nursed 232 endangered sea turtles back to health. Disney scientists have collaborated with other experts to pioneer new satellite technology enabling them to track the travel patterns of rehabilitated and released turtles. In 2006, this sophisticated technology allowed scientists at the Wildlife Tracking Center to compile an entire year’s worth of tracking data – the longest period ever for a juvenile green sea turtle. Nicknamed Little Crush, the turtle was rescued and brought to Disney after he was found near death in the Indian River Lagoon. Disney scientists have led the way in learning more about how animals learn and to understand their cognitive differences as they age. Gorillas, mandrills, and ground hornbills are very different animals, but they are all extremely smart. Continuing research indicates that mandrills, the largest species of monkey, are able to complete memory tasks on touch-screen computers. In addition, Disney scientists have discovered that ground hornbills have an ability to remember how to complete a task even after months have passed between trials. Committed to the zoological and conservation community, Disney has made significant effort in building the capacity of animal care and scientific professionals. Disney’s Animal Programs has more than 65 advanced internships in a variety of fields, ranging from conservation education to veterinary medicine, as well as pre-and post-doctoral fellowships. Thousands of zoological and conservation professionals have been trained through Disney’s Animal Programs staff and resources, with more than 50 scientific meetings and conferences hosted since 1998. As evening approaches, and the lights of candles appear in the windows, you here the eerie howl of a distant wolf calling to you from beyond a mansion on the hill. Quietly you make your way around the front of the mansion to the other side. There you find a family cemetery, where gruesome deaths seem commonplace. You realize that you are not the only person who has ventured this way recently, as a rose sits perched upon the headstone of Master Gracey. Suddenly, and shockingly, a servant of the house summons you inside, where you are met by an ominous and foreboding voice. This voice, a self-appointed Ghost Host, conducts you through a room that stretches disturbingly, and then into a doombuggy to tour the mansion. Through portrait galleries with shocking secrets, libraries and conservatories filled with unseen presences, and a never-ending series of stairways the Ghost Host beckons you to come further into the house, even though your heart and every hair on your body is calling for you to find a way out. Some of the 999 residents attempt to contact you, they go as far as to plead for you to help them. As you make your way down endless hallways you stumble upon a séance, presided over by the striking and farseeing Madame Leota, who resides inside of her crystal ball. Here the Ghost Host leaves you to discover a rowdy and uncivilized clan of ghost cavorting about in all sorts of party frivolities. Your path turns and leads you up to attic, and to the grim truths of the bride and her former husbands, before you crash through a window and into a much larger graveyard at the rear of the manor. The cemetery is filled with the lively phantoms, all in search of a good time. There are ghost on bicycles, spirits using tombstones as a teeter-totter, even a phantom choir, in perfect harmony, crooning about Grim, Grinning, Ghosts. When the Ghost Host finally catches up to you in the mausoleum he offers you one final warning, that hitchhiking ghosts have been known to follow guests home. As a hauntingly beautiful voice calls for you to hurry back, you follow the beating of your heart and race through the mausoleum, past the pet cemetery, and a far as your feet will carry you away from this Haunted Mansion. Spring has sprung which can only mean one thing; the smoldering embers from last year’s last cook-out are beginning to heat up. Soon grills everywhere will be firing up on the weekends, and they will be filled with burgers, hot dogs, chicken, and ribs. As all Master Grillers know, when it comes to ribs you need a good rub and the secret is in the sauce. For both the rub and sauce combine all ingredients, this is the only step needed for the Barbecue Rub before applying to the ribs. For the Barbecue Sauce, after all ingredients have been mixed together thoroughly, allow them to simmer for 20 – 30 minutes. For Epcot purist, looking towards the films of World Showcase can be heart-wrenching. On opening day only China, France, and Canada were the only pavilions that came complete with films. Norway would add a fourth film to World Showcase when its pavilion opened in 1988. Of the three original films, only France’s Impressions de France has remained unchanged for the past twenty-five and a half years. Both Wonders of China, now Reflections of China, and O Canada! have seen updates in the past few years. While opinions vary on what is and isn’t effective in these films, they are, without a doubt, not the films that originally graced World Showcase. In honor of the sole-surviving film of EPCOT Center’s original World Showcase, today we look at some facts and figures from Impressions de France. 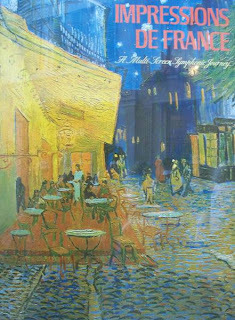 ¤Impressions de France is shown in the Palais de Cinéma, a theater which can accommodate three-hundred and fifty guests. ¤The eighteen minute film is projected onto five screens, each of the five pieces measures twenty-seven and a half feet wide by twenty-one feet tall. By using these five screens, audience members are given a 200-degree view. ¤Locales observed in the film’s forty-nine scenes include, but are not limited to, Loire Valley, Vezelay Church and village, Monbazillac Vineyard, Versailles, Chaumont Castle, Charmonix, La Rochelle Harbor, Normandy, Mt. Blanc, and various landmarks and vistas of Paris. ¤The score from Impressions de France is composed of music from Camille Saint-Saëns, Claude Debussy, Jacques Offenbach, by François-Adrien Boieldieu, Maurice Ravel, Éric Satie, and Paul Dukas. Additonally, original scoring was done by Buddy Baker. Oswald the Lucky Rabbit stopped by today and wanted to wish all of the Main Street Gazette readers a "Hoppy Easter!" Oswald was a Walt Disney creation. After the Alice Comedies, and before Mickey Mouse, Oswald was Disney's focus. Walt Disney created 26 Oswald cartoons, but, when Disney went to renew his contract with Universal he was told by his distributor Charles Mintz that Disney would take a twenty percent budget cut or else the studio would find someone else to create the cartoons. This was due to the way contracts were written up at the time. Not only would Walt Disney lose the character of Oswald, but Mintz also revealed he had hired away nearly all of Disney's animators. These negotiations instilled in Walt the desire to never again allow his creations to be controlled by another party. On this idea, he would stand firm throughout his life. On the return trip home from losing Oswald, Walt Disney created a little mouse named Mortimer Mouse. So the story goes, Lillian Disney did not like the name and it was replaced by Mickey Mouse. Oswald's tale with Disney was not done, however. In February 2006 it was announced that the rights to Oswald the Lucky Rabbit would be returned to Disney, now under the watchful eye of Bob Iger. Alongside Oswald, Disney, more specifically ESPN, would gain the rights to expanded highlights of the Olympic Games (through 2012), Notre Dame Football (through 2011), and the Kentucky Derby and Preakness (both through 2011). As well, ESPN also gained the rights Friday coverage of the Ryder Cup, along with extended highlights (through 2014). For Universal's part, they received Emmy-winning sportscaster, Al Michaels in the deal. 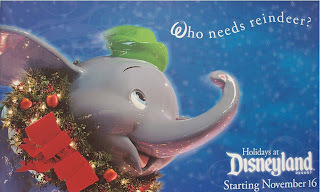 I am not sure what it is, aside from the brilliance of marketing, but the advertisements of Walt Disney World and Disneyland always seem to find a special place in my heart. I love that Disney is willing to go to such great lengths to promote one of the most well known brands in the world. Here are a few of my favorite advertisements from the past year. Ah, the first day of Spring. Little April showers, the air is always filled with orange blossom smells, the Flower & Garden Festival, and twitterpation. 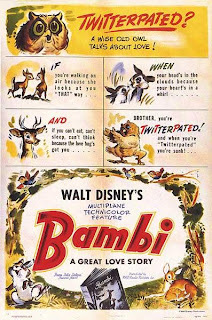 Wise Old Owl tried to warn the boys (Bambi, Thumper, and Flower, not Mickey, Donald, and Goofy) , but they didn’t listen, did they? To avoid being twitterpated, be sure to heed Wise Old Owl’s twitterpated gospel. BROTHER, you’re TWITTERPATED! and when you’re “Twitterpated” you’re sunk! The dust in the room sat so still and thick that it was a wonder that the sunlight could even squeeze through the broken blinds at all. The curtains had fallen into a heap on the floor long ago, and there the still sat. The cushions on the couch had become so worn that a bag of cotton balls would have better suited any occupant of the sofa; even the chairs and desks had lost their varnish, though this last sign of decay was lost beneath the common sign of neglect, dust. Two men sat in the dilapidated chairs at the dilapidated desks. Their collective gazes alternated between staring at the yellowed sheets of blank paper before them, jammed haphazardly into the typewriter, (one of which, consequently, was missing the ‘E,’ while the other had lost its ‘S’) and then back to the man on the opposite side of the desk. This routine was occasionally broken by a loud gulp of water quenching a cracked throat or a smack of gum, but never by the click of a single key of the typewriter. This lack of productivity explained the declining state of the offices of Beyer and Quinn, Screenwriters. “What if we tried adapting something rather than writing something new,” offered Burt Beyer. “Adapt? We’ve been down this road before,” Ernie Quinn sighed as he used his head to signal towards the bookshelves. Overlooking the obvious unkempt order in which the books had been kept, there were a staggering amount of books to work through. “If you’ve got ants in your pants, then do us both a favor and go for a walk to the library, but I guarantee you there ain’t nothing there we ain’t already though of,” Quinn quipped before returning his attention back to the blank paper, as if it held some secret. “You know what, I think I will,” Beyer said as he got up from his chair. He threw on his brown blazer hastily, pulled his fedora, complete with inky smudges, down firmly on his head, and closed the door behind him. 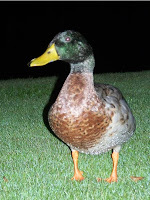 He made his way down from the second floor and began monotonous trek around Echo Lake. 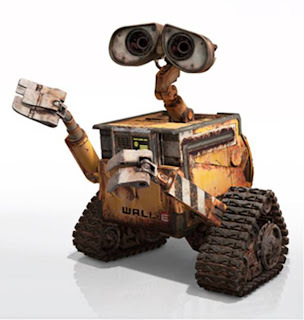 “Hey, Book boy! Make sure you check the mail on your way back in. We may finally get that big offer we’ve been waiting for!” Quinn shouted from the window. He didn’t wait for a response before he closed the window, laughing. Beyer waved him of and turned back to the sidewalk in front of him. Beyer made his way over to the library, where he studied the stacks intently. He randomly opened the card catalog hoping to find a muse in whatever card he happened upon, he consulted with the librarian, and he even sought the advice and recommended reading lists of visitors who seemed to be in the library as often as he was, most of whom were screenwriters as well, and most of whom were uninspired to help another struggling writer. Not having any luck, but thankful for the time away from Quinn’s delightful disposition, he decided to head for the park. A vendor was selling bags of breadcrumbs for the local indigenous fowl, pigeons, and Beyer decided someone, somewhere needed a break, and bought a bag. The way he saw it, his generosity would bring some happiness to the vendor and the birds, and two for one wasn’t bad. Besides, doing good things had a way of coming back around. All the benches were occupied, but he meandered over to a bench by the lake with only one gentleman sitting on it. “Oh, by all means,” came the response from behind the newspaper. As he tossed the crumbs to the crowd of pigeons that had made their way to Beyer’s feet, he aimlessly looked around for something, anything to motivate him. There was a girl sleeping on a bench whose boyfriend was leaning over to kiss her and wake her up, a little girl walking a dog who’s fur, in the evening light, appeared blue, and a cat chasing another dog, this one had a string of sausages trailing from his mouth, but none of this could ever make a story he and Quinn could sell. Suddenly, he became aware that the buzzing sound in his ears was the man sitting next to him. Embarrassed, he stuttered an apology and asked if he didn’t mind repeating himself. “Oh, oh, yes they are,” replied Beyer who, truth be told, had not even paid attention this year. Someone had won for screenwriting, and all he knew was that it wasn’t him. He continued talking with the gentleman, Henry was his name, for several more minutes. The conversation ran from entertainment to world politics to the diet of ‘tramps,’ or homeless dogs. “Well, Burt, I am afraid I must be going,” Henry said as he folded his newspaper, placed it under his arm, and stood up. 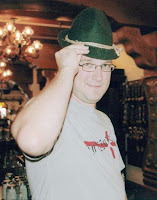 It was then that Beyer became aware of what this very worldly individual was wearing, an over-sized brown fedora, a khaki shirt, and deep brown work pants. This was not the attire of an educated man, which Henry most certainly was. “A stunt man? But you know so much and seem so well spoken,” Beyer’s shock was thinly veiled. “True, but man may not live by brains alone,” explained Henry, who turned to go with a tip of his hat. This conversation, and realization, had sent Beyer reeling. He sat for a long while thinking over what he had learned from Henry, and slowly a story began to form. Up he jumped and made a dash straight back for the office. 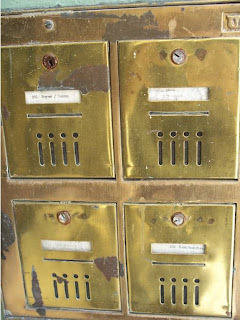 He blew by the mailboxes, there wouldn’t be any mail anyway, and besides, the lock had been rusted shut for months now. Up he ran to the corner office, number 201, and straight over to Quinn’s desk, he hadn’t even stopped to shut the door or hang up his hat and coat. “I’ve got it! I have the perfect story!” he exclaimed. “Well, out with it then,” Quinn was beginning to lose his patience. “Quiet down over there,” came the muffled yell from the wall, along with repeated thuds. “Sorry, Mrs. Zovich!” Beyer shouted back. By now the sun had set and the lamps had begun to turn on outside. Quinn walked over to the door and drew up his coat. “If you’ll excuse me professor, I’m heading home. Maybe I’ll dream us up some magic fairytale this evening. How about that?” Quinn asked while shutting the door. 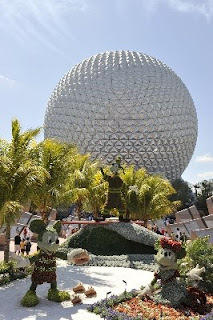 Today is the first day of this year’s Flower and Garden Festival at Epcot, the fifteenth year the event has been held. Fun in the Sun, the theme of this year’s event, begins today and will run through June 1st. As always, there are exhibits, tours, demonstrations, guest speakers, the butterfly garden, the lady bug release, and something I am forgetting,… oh, Flowers and Gardens! “To create such varied forms, Disney’s gardeners practice several different styles of topiary. The oldest and most basic style, free form, consists of pruning trees and shrubs into unusual shapes, like cones, gumdrops, mazes, pyramids, and poodle puffs. Striking examples include the famous Dixie Cup Oaks of Walt Disney World’s Contemporary Resort and the platform trees that ascend like stairways to heaven in from of Disneyland’s It’s a Small World (sic). The shrub topiary style uses metal frames to help shape shrubs into characters. Shrubs are planted in large wooden boxes at each point where the frame touches the ground. 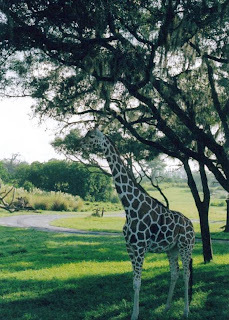 For instance, to create the giraffe for Disneyland’s It’s a Small World (sic), Disney’s horticulturists would use four shrubs – one for each foot. As the shrubs grow, the gardeners trim the weekly until they completely engulf the frame. Depending on the size of the figure, the process can take three to ten years. This process has been showcased for the past few years in an exhibit (Tricks of the Trade) during the Flower and Garden Festival, and is one of the many activities I plan on enjoying this year. Other activities on my radar for next month include Going Green in Your Own Backyard, Rachel Tribble’s artist signing, the English Tea Garden Tour, and Peter Pan’s Never Land Garden, just to name a few. While away at my wife’s conference this weekend, I found myself wandering around the hotel grounds. When it came time to return to the room I always took the same route, due exclusively to the fact that there was only one way to get to and from our room. This got me to thinking about the various ways I have always found to return to a room or campsite at Walt Disney World. No matter how many times I can walk the same route through the Magic Kingdom, when I step off of the bus in the late afternoon there are always a variety of paths back to my room, and shortcuts to be found. Unless you stay in the same room, at the same resort, for every trip you take to Walt Disney World, you know this feeling too, even if you haven’t explored it. You can cut between the center of buildings to catch an adjoining walkway, or through entire resorts at the All-Stars rather than wait for the bus to stop at your resort. When returning to Port Orleans you can again wander from one resort back to your resort, taking the long way home as it were. On the other hand, you could cut around one of the squares and find that it is faster than walking the straight and narrow roads to the Floatworks. Even when it comes to reaching your floor, chances are there is a choice of direction involved. Do you climb the stairs on the ends of the building, or wait until you get towards the middle? The point is, every trip offers a new trail or shortcut to discover, a new ‘choose your own adventure’ for each trip. This concept is never more present than in the campgrounds of Fort Wilderness. As children, one of the first things my sister and I did, once we had helped set-up the campsite, was to find the trail behind our site that created the most direct route to the Comfort Station on our loop. Not only was this essential to good camping, at ten o’clock at night you don’t really want to wonder what the best way is to wander to the bathroom, but it also gave the trip a subtle, but defining, characteristic, and it created a landscape for us to craft our own stories in. It is on these quiet walks of discovering, or raucous runs of adventure, when you aren’t rushing to a bus or bed, that some of the most magical things can happen. Besides finding a shortcut, you may stumble onto a rabbit or family of ducks making their own way home, you may discover that, while out of the way, this path leads to a quiet bench where you can take in the joy of others who are also experiencing the magic, but then again, you may find nothing more than a sidewalk with some fabulous details. I hope that when you take these walks, and explore the paths you will tread every day of your trip, you do so with all of your senses and make a lasting memory. There is a creature that lurks high in the Himalayan Mountains, a creature that has seldom been seen, but is the foundation of terrifying tales, a creature that feasts on herded animals and makes off with female villagers, a creature with a proclivity for the dramatic. The abominable snowman, or yeti. The yeti has never been zoologically classified. This is not surprising since one has never been studied, and since most conversations about the yeti dissolve into a dissection on various myths. But today, I think we are going to march into the snowy caves of the Matterhorn and boldly cross beyond the Temple of the Forbidden Mountain, and drag this creature’s snowy behind, myths and all, into the daylight. The coat of the abominable snowman is almost consistently seen as white, this is a logical adaptation for a creature that is considered to live high in the snowy terrain of the Himalayans. Upon further inspection however, most local legends discuss that the yeti, or abominable snowman, has fur in varying shades of brown. Also common in the stories available is that this creature, the yeti, lives below the snowline in forests. They only cross the snowline the in order to traverse the glaciers that link one mountain valley to the next, and they only do so in the summer season. Though snow could become matted in the fur during these crossings, it is unlikely that any creature who remained south of the snowline for so long during the course of a year could be conceived has having only white hair. So, the abominable snowman is just that, an abomination. From head to toe this creature is a myth of, mostly, western thinking. If there is to be any further investigation of the creature known as the yeti, it must be done so with the stories and descriptions of the abominable snowman placed firmly on the shelf, alongside other great works of fiction. The yeti has been a much sought after creature dating back to the times of Alexander the Great, who coveted a yeti during his conquest of the Indus Valley. Unfortunately, as he was told at the time, yetis could not breathe at the low altitudes at which Alexander’s forces were traveling, and so Alexander had to go without. Westerners began telling tales of the yeti as a “wild hairy man” in the fifteenth century and, as mentioned above, these tales should only be consumed with a healthy dose skepticism. Yet, even native information can be just as susceptible to criticism. Like any highly devout people, the Tibetans, including the Sherpas, find it very difficult to separate their reality from their religion. On religious scrolls and in artwork, the yeti is pictured as the divide between man and animals. In Tibetan if one is “playing yeti,” it can be construed as either a negative (“to rob”) or a positive (“to protect”). The yeti is all at once a damned monster and a sentry, which only adds to the debate and confusion. With these thoughts in mind, it is best to stick to common facts among all yeti tales. Since even experts argue over what is considered true fact and what is considered fiction (most likely due to the fact that they are selecting only criteria that meet with their perception of the yeti), we can only combine the details of various sightings and the stories of the local inhabitants to reach an amalgamation of the yeti. After all of this sorting, we are left with a creature that has the characteristics of an apelike bear. This may be a rather bizarre combination to conjure up, even to the most imaginative of us, but let’s take a look at some characteristics attributed to the yeti. ¤The yeti, we are told, can move, and attack, upright on two legs. Though, when paired with its size, it is not inconceivable that it would have to move on all fours at times. ¤In the region the yetis said to inhabit, the local indigenous people eat things such as berries, barley, vegetables, fruits, roots, and meat. This is also the preferred diet of the yeti. ¤The head of this creature is domed, creating support for the large jaw muscles needed to support a jaw with large fangs. This is similar to the Gigantopithecus, a large extinct ape, and a chemo, a type of Himalayan bear, which is also rarely seen. ¤The approximate size of a yeti, when standing on two feet, is a little over seven feet. In the end there can never be a clear picture of what a yeti is, only what it isn’t. There may be a true creature which these legends revolve around. After all, as much as we have cannibalized the lands of the earth, there is still much in the wildernesses that we do not know. But whatever this creature is, it is not the yeti. The yeti is not one creature or one idea, it is a story. And, as Reinhold Messner wrote “…I knew that it meant that the tale of the yeti – in some form – would exist forever. 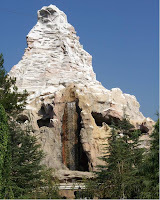 I am going to be out of town (my wife has a conference in Greensboro, NC) all day tomorrow and Saturday morning, but this weekend the Main Street Gazette is going to explore some of the myth and history of the Abominable Snowmen and Yetis, as seen while on the Matterhorn Bobsleds and Expedition Everest. To whet your appetite for all things yeti, here are a few terms to become acquainted with. Sherpa – Tibetan term meaning Eastern People. Sherpas migrated from Tibet to Nepal. The men of the Sherpa are common guides for mountain climbers in the Himalayan area. Other mountaineering guides in this region are also referred to as Sherpas, though they do not have to be of Sherpa lineage. Abominable Snowman – A westernized term commonly used to refer to yetis. The term abominable snowman is a mistranslation of the word yeti. Ray, the man to know over at Grumpy's Hollow, has been writing some fantastic things about the music of Walt Disney World (see: here, oh and, of course: here, and his latest one: here). Also, I recently read this journal post over at Disfriends (sadly I could not find the actual article or author after much searching), which talked about treating everyday as if they were going to Disneyland and how, even though they were actually moving along with the daily lives, it made their days seem a little bit brighter. Then, surprisingly and quite unknowingly to your author here, these two ideas met in my neck of the woods yesterday and I was lifted from the plight of my normal day and had what could only be described as a lovely day. To describe yesterday as lovely is laughable. I worked from sun-up to sun-down with a staff that were anything but happy, we are severely understaffed at the moment, dealt with some not so thrilled parents, and had some temper-tantrums the likes of which could make a sailor blush and a dinosaur scared. However, on my way in to work yesterday morning I happened to pop Disney’s Happiest Celebration on Earth (Disneyland version) into my CD player. There I found There’s a Great Big Beautiful Tomorrow, which was picked up by my subconscious and played continuously throughout the day. I whistled the song while I put chairs down and set up breakfast for my preschool horde. I belt it out as if it were opera during our outside play time. I even hummed it on my way to a meeting I did not want to go to. What happened? For starters I never got discouraged, and a smile was fastened firmly to my face. And my attitude seemed to spill over into even the darkest corner of my center. Staff members who normally wouldn’t have cooperated with me, or each other, seemed less confrontational after we talked. Then they began to find solutions (compromises even) on their own. Children who were looking for something, or someone, to hit, saw me and melted into my arms (arms which usually get bruises, not hugs). By the end of the evening, I was beginning to become aware of the fact that There’s a Great Big Beautiful Tomorrow had saved my day. This song, which had just happened to fall into my personal soundtrack yesterday, not only changed my environment, but the environment of those around me. To honor this monumental accomplishment I thought I would give the spotlight over to this song today with some lyrics and a little history. There’s a Great Big Beautiful Tomorrow, another triumph by Richard and Robert Sherman, debuted at the 1964 World’s Fair as a part of the Carrousel of Progress. After the conclusion of the World’s Fair, the attraction, complete with its uplifting anthem, moved cross-country to Disneyland, where it opened in Tomorrowland in 1967. In 1973 it again made the long trip across the country to Florida, and Walt Disney World’s Magic Kingdom. From 1983 until 1994 the song was removed from the Carrousel of Progress. In its place The Best Time of Your Life could be heard, but There’s a Great Big Beautiful Tomorrow would make a triumphant return in 1994. In the interim, There’s a Great Big Beautiful Tomorrow could be heard in Horizons, which opened in 1983 and closed in 1999. Earlier this week, in the article about the World Showcase galleries, specifically The American Adventure’s National Treasures exhibit, I inadvertently implied that the moon rock on display belonged to the astronaut Gus Grissom. Virgil “Gus” Grissom” was tragically killed alongside Ed White and Roger B. Chaffee during a training for the first mission of the Apollo program. The Apollo program did eventually reach the moon, long after we had lost the Apollo 1 crew. Gus Grissom, who had been a part of both the Mercury and Gemini programs, was presented with this moon rock posthumously. The integrity, and quality, of the articles of the Main Street Gazette is of the utmost importance to me, and I apologize if the original article caused any confusion. World Showcase is full of galleries, most of which the average guest passes by without a second thought. These archives serve as another piece, beyond the architecture and attractions, of the ambassadorial presentation of each country in World Showcase. These exhibits are a key component to a deeper understanding of the history, culture, and customs of their home country. Yet, inside these galleries are not just art and artifacts, but a story waiting to be heard. Like any respectable art exhibit, the galleries of World Showcase present pieces that revolve around a central theme. A period of time, when Vikings were at the pinnacle of their reach for example, a known traditional trade, such as the works of a coppersmith, or a gallery of a known artist’s works could all be found within the walls of these galleries, all with a specific story to tell. 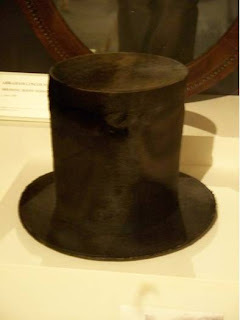 In late September 2007, a new exhibit opened just off to the side of The American Adventure called National Treasures. For those of you that keep up with Disney’s film projects, while the naming of such a gallery would conjure up images of secret books, maps on the Declaration of Independence, and colored spectacles, the contents of this display are much more valuable, and much less fiction. Enshrined inside are pieces of our heritage and history, memories of the glorious and ghastly moments of our past. 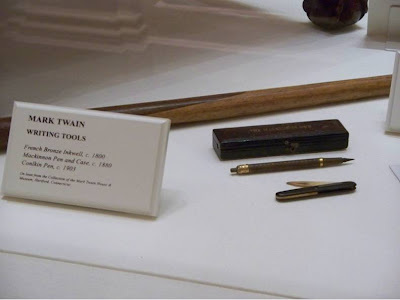 Abraham Lincoln’s unmistakable hat, portraits of Chief Joseph, Rosa Park’s Congressional Medal and arrest record, Mark Twain’s writing tools, and even a moon rock held in honor of the astronaut Gus Grissom are among the many true treasures found within these walls. The American Adventure has been known to make adults weep, myself included, not only for the trying and terrifying times we have been through, but for giving us a sense of pride in who we are and what we have already accomplished in our short history. The National Treasures exhibit compels the same reaction. And while the other galleries of World Showcase may not present an American with the same sense of patriotic pride or awareness of our past, they do bestow such gifts upon their own countrymen and women, and present us with a chance to further our knowledge of our place in this world. The next time you are wandering through the shops, dining on regional fare, or taking a boat or movie trip through time, remember that further answers to what makes this or that country unique are only a few steps away, in their galleries. Then, take those steps to visit some of these quiet and hidden troves. 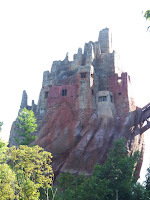 Recently, we have been looking back at the history, heritage, and messages of Disney’s Animal Kingdom in anticipation of the park turning ten next month. Today I present to you the Disney Wildlife Conservation Fund’s fact sheet. The Disney Wildlife Conservation Fund (DWCF) began a significant annual grants program in 1995 on Earth Day (April 22) for the study and protection of the world's wildlife and ecosystems. The DWCF distributed its first grants in 1996 and has since continued to provide annual awards to US nonprofit conservation organizations working alongside their peers in other countries. Many of the recipient organizations concentrate their activities on "biological hotspots" -- areas rich in plant and animal life at risk of imminent destruction. In 1998, as Disney’s Animal Kingdom Theme Park opened, the DWCF made its first grants. ¤ Disney Wildlife Conservation Fund is supported by Guests who choose to add a dollar or more to purchases at Walt Disney World Resort locations. 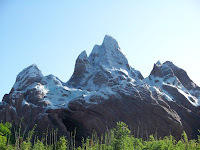 ¤ Locations include Disney’s Animal Kingdom, Disney’s Animal Kingdom Lodge, Fort Wilderness, Disney’s Wilderness Lodge, Living Seas merchandise locations, many Disney Vacation Club Resorts and aboard Disney Cruise Line. 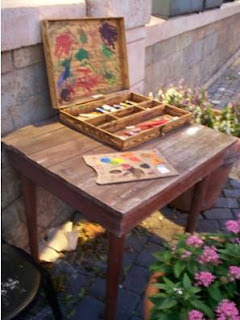 ¤ Funds are supplemented by Disney’s Office of Worldwide Outreach ensuring more than $1 million annually for the program. ¤ To ensure that all of the guests donated money goes to wildlife conservation, Walt Disney Company covers all administrative costs. ¤ Since 1995, DWCF has distributed funds to 553 projects from 150 organizations in 105 different countries. ¤ Projects are accepted annually and are evaluated on specific criteria, including scientific methodologies, but also components to educate local communities and communications efforts with policy makers to share the findings. ¤ A “rapid response” account supports emergencies throughout the year, including cash assistance for animal welfare and wildlife organizations responding to natural and environmental disasters, including hurricanes, oil spills and tsunamis. ¤ DWCF awarded $1,401,000 in 2005 divided between North American, African, Asian, Latin American and marine projects. 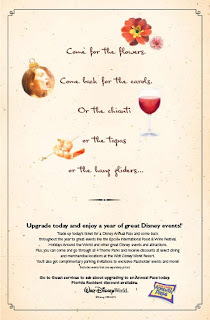 ¤ In April 2006 the DWCF celebrated a contribution milestone of $10 million since Disney’s Animal Kingdom opened. Innovation has always been a prominent feature for Disney and its brand. From the multi-plane camera, the monorail, the storytelling of Walt’s features, the 9-acre utilidors complex, and even the Experimental Prototype Community of tomorrow (Walt’s plans not EPCOT Center). But some of the most interesting, and ingenious, ideas to ever come from Disney, specifically from Walt Disney World, receive little or no publicity. The AVAC (Automated Vacuum Collection) trash-disposal system, a system which uses pneumatic tubes to direct refuse from various positions to a central collection area, the installation of the first 911 telephone system in Florida, and perhaps the most obscure, and today’s topic, the Water Hyacinth Project. In a nutshell, the Water Hyacinth Project was a ten year research program, which began in 1978, that studied the use of water hyacinths to treat waste water and to produce useful byproducts. Sewage, in various stages of treatment, is sent into one of five quarter-acre canals (based upon their current treatment level) which are then filled with water hyacinths. The water hyacinths’ roots feed on the material in the water. When the plants had completely filled themselves, they were removed and replaced by fresh plants. On average, a ton and a half of plants were removed daily and fifty-five thousand gallons of water was treated (90 percent of material in the water was removed, in accordance with EPA standards for treatment) daily throughout the ten year program. But what of the approximate five-thousand four-hundred and sixty tons of water hyacinths that were harvested from the treated water over the years? This plant matter was put to many productive uses. The first attempted use of the used plants was as animal feed, unfortunately, the animals did not develop a taste for the water hyacinths. For the next five years the material was used as fertilizer. In 1983, the Gas Research Institute developed a method which turned the water hyacinths into pipeline-quality methane gas. Other uses for the plant matter included paper, particleboard, and the like. Who then, could benefit, or would show interest, in a research study such as this one? When the Water Hyacinth Project began, it had the support of the Environmental Protection Agency (EPA), which was followed by NASA’s interest, in short order. 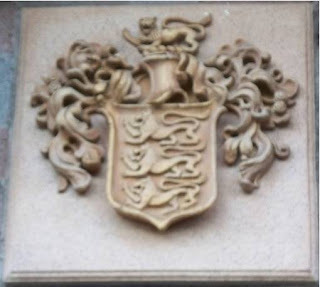 As stated above, the Gas Research Institute also took on a role in the program in 1983. In the years following the ten year project, the cities of Orlando, Florida, San Diego, California, and Austin, Texas have all implemented treatment plants based off of the data compiled from Walt Disney World’s Water Hyacinth Project. In the end, this may not be a solution most cities can look to. Disney itself cautions that, or rather focuses on how, this project is best suited for smaller metropolises that cannot afford the larger, and more commonly seen, water treatment plants. And while this may not be a practical way to condition water in our future, it is nice to know that Walt Disney World, among other companies, are always look for new, and better, solutions to old problems. 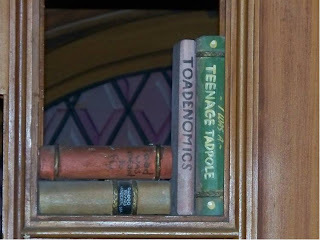 Mr. Toad has a very eclectic library of classics and contemporaries at his one-track west-coast abode. Though it is unclear how many of these books he has read, the collection is still worth taking note of. 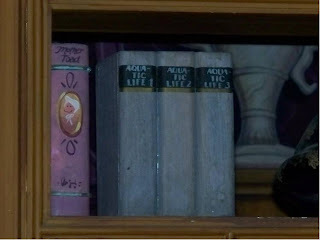 Some of the treasured pieces of his collection are (and their real world counterparts), Mother Toad (Mother Goose), Ivantoad (Ivanhoe), and, my personal favorite for obvious reasons, 20,000 Thousand Toads Under the Sea (20,000 Leagues Under the Sea). 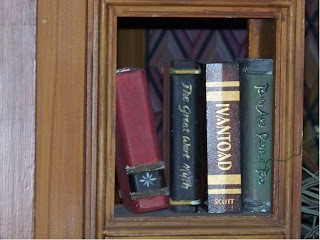 Make sure you take some time to catch up on these classics, and the other timeless toad titles, in Mr. Toad’s library.